As the President of Genting Cruise Lines, Zhu is responsible for the long term growth of Genting Hong Kong's three cruise brands - Star Cruises, Dream Cruises and Crystal Cruises. In this role, he will enhance the performance of the Company through innovation, development of strategic directions and implementation of robust business plans for the cruise lines. Additionally, to ensure the continued evolution of Genting Hong Kong, Zhu will also play a pivotal role in new product development for different target segments and identifying and cultivating business expansion opportunities. 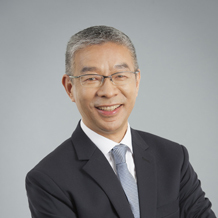 Zhu brings more than 30 years of experience in the hotel and hospitality industry, and held key senior management positions at two global luxury hotel groups. Prior to joining Genting Hong Kong, Zhu was Executive Vice President at Wanda Hotels & Resorts, and Vice President and Global Chief Marketing Officer at Shangri-La Hotels and Resorts.